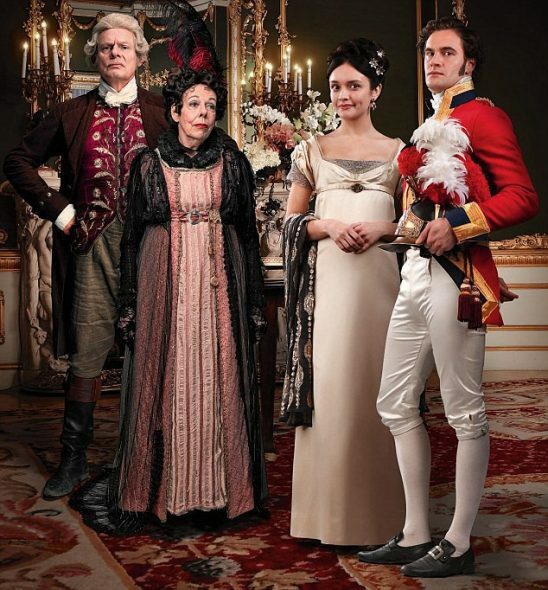 Costume drama Vanity Fair opened modestly for TVNZ 1, with Sunday’s premiere averaging 3.1% of 25-54 year-olds and Monday’s second episode, 3.8%. Sunday’s viewership was nearly two points lower than the previous Sunday’s Curious Mind finale and slumped from 5.0% to 2.0% opposite Three’s Mean Mums (5.8%) and the first hour of Keeping Up With the Joneses (3.8%) — which also out-rated TVNZ 2’s Zoolander 2 and Grimsby. Monday’s Vanity Fair held more of its 25-54 viewership, with ratings slipping from 4.1% to 3.4% over the hour. But the average was still lower than last week’s Criminal Minds (4.3%) in the same slot. Three’s 8.30 Kiwi comedy pilot, Sidelines, averaged 5.1% on the back of The Block NZ’s 9.9% — but over the half-hour its 25-54 viewership almost halved, from 6.8% to 3.5%. The decline continued for stablemate The Lonely Hearts Motel, which averaged 3.0%. TVNZ 2 scored higher, with its 7.30 movie Paul Blart: Mall Cop 2 (5.0%) and one-off doco, My Big Fat Summer (2.9%), which crushed both 1’s Lucifer and Three’s Killer Women With Piers Morgan. At 7.00, 1’s Seven Sharp and Three’s The Project seesawed to each average 4.9% while 2’s Shortland Street drew twice as many 25-54 viewers to averaged 10.8%. Three won Monday night in a keenly competitive 25-54 race but TVNZ 2 topped the other core commercial demos.